A wonderful collection of prints by Heather Haythornthwaite, Dianne Reeves, Bev Burgess, Sue Maddocks, Louise Norfolk and Francis Bray are on display at Cafe Moroc, 365 Rochester High Street (half way between Chatham and Rochester) from 17th May to 13th June 2013. Please note: This place does awesome food! 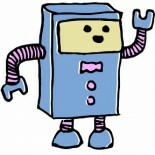 This entry was posted on 14/05/2013 by Creatabot in Creative and Art Events.